Can bioplastics be used with injection moulding technology? Biopolymers present the next great innovation for the plastic manufacturing industry. Derived from renewable resources, biopolymers enable the production of bioplastics that can reduce consumer’s dependence on non-renewable resources. Initially unpopular with manufacturers due to their high-cost and incompatibility with existing manufacturing equipment, bioplastics have grown in leaps and bounds, and the current bioplastics have been reworked to avoid these issues. Made with biopolymer materials, these bioplastics can now replace traditional petroleum-based plastics. Biopolymer materials include cellulose, starch, collagen, soy protein, polyesters, lactic acid and casein. Bioplastics were originally mainly used in the sheet and film extrusion markets, but are currently targeting disposable cutlery, medical parts, rigid packaging and consumer products. Recent developments in the plastics manufacturing industry have demonstrated the compatibility of bioplastics with the injection moulding process. Many bioplastics can now be used in conjunction with existing injection-blow moulding machinery. 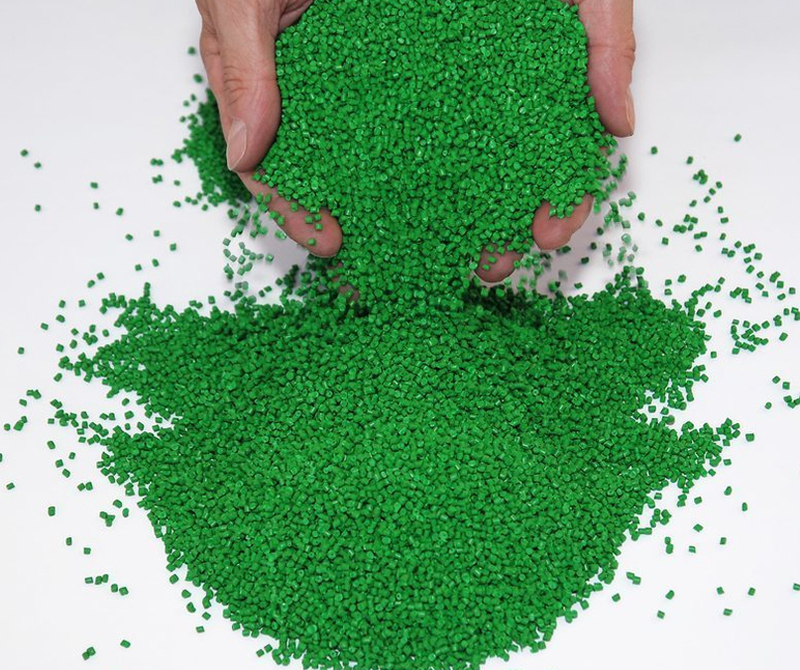 Polylactic Acid (PLA), a biodegradable and bioactive thermoplastic aliphatic polyester, is made from renewable materials like corn starch, cassava or sugarcane and can be used to produce products and parts through injection moulding. The type of material used to make PLA largely depends on the region where it is produced. In the USA and Canada, corn starch is commonly used, in Asia Cassava roots, chips or starch are common, while sugarcane is the norm in the rest of the world. The most significant issues that manufacturers face when using bioplastic materials for injection moulding are heat, degradation and moisture; caused by temperature, residence time or shear. Bioplastics may also need longer cooling times. Despite this, bioplastics are suitable for consistent processing and have the advantage that, compared to traditional resins, any melt degradation is unlikely to clog up the moulding equipment. Consumer demand may ultimately plan an essential role in the production of bioplastic products. More and more consumers are growing aware of their environmental impact and taking steps to reduce their usage of non-recyclable or non-biodegradable plastics. Consumers are increasingly focused on biodegradability and sustainability and are increasingly prepared to commit time and resources to find packaging and product solutions that are in line with sustainable practices.